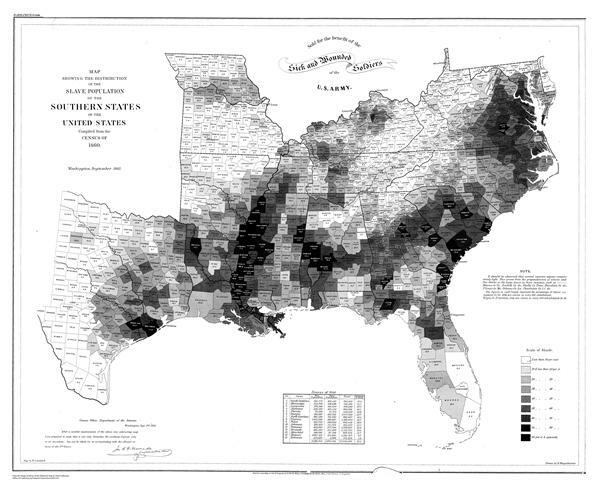 Check out this Map Showing the Distribution of the Slave Population of the Southern States of the United States. It was published in 1861 and based on the 1860 census. Click on this link to go to NOAA's Office of Coast Survey and see a larger image of this map. It is almost impossible to estimate how vastly the chances of Southern success would have been augmented had Missouri been permitted to take her place in the Southern column . . . [Had the State of Missouri been controlled by the Confederacy, it's] . . . warlike population . . . would have . 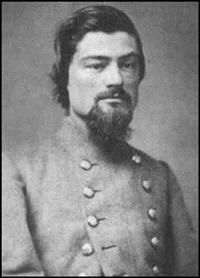 . . furnished a much larger and more formidable contingent to the Confederate cause than it did; while the number furnished the Federal army would have been greatly minimized . . . Lying along the flank of the Western loyal states, and occupied by adequate Confederate forces, she would have so threatened Illinois and even more eastern territory as to effectually hinder any enterprise which might have stripped that region of troops; and armies would have been required to defend it against the invasions made from Missouri. In 1861, Missouri was a conservative state that wanted the status quo to continue. But the radical minorities on either side of the issues would struggle to take control of Missouri in 1861. The Battle of Carthage was part of the struggle for Missouri in 1861.